Your roof’s most prominent feature is also ironically its biggest threat. Problems stemming from a poorly maintained chimney – whether it be bad masonry, cracked edges, or even a possible chimney fire – can cause major damage to the rest of your house, especially your roof. We were recently contacted by a homeowner in Columbia, MD who had a damaged chimney that affected their roof. Many homes have a chimney, even if they no longer have a fireplace. Some homeowners like to keep their chimney because of the character it provides their home, while others have one because they still have an active fireplace. No matter what side you fall on, there are several things you need to know about chimneys even if you don’t use your fireplace all that often. Basic things like weather damage can wear down your chimney over time, often leading to other major problems down the line. And when it comes to your roof, a poorly maintained chimney can cause roof damage, which can be extremely costly. Various causes for these problems. The types of damage they can cause your roof if left unchecked. When it comes to protecting your roof, knowledge, and awareness are key. The sooner you can detect major problems, the sooner you can solve them, and prevent additional damage. 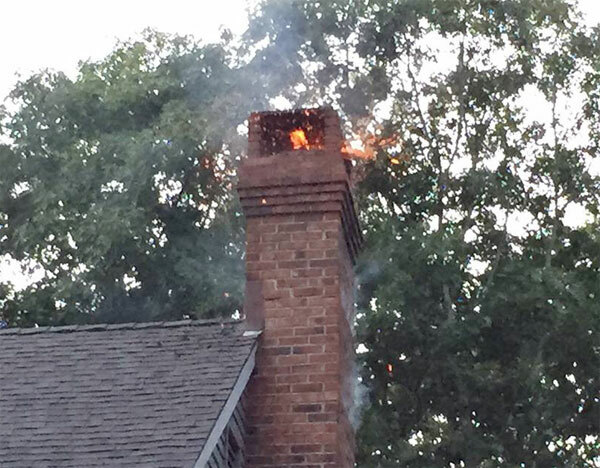 Chimney fires are unfortunately common for homeowners who neglect essential maintenance. A chimney fire can spread to your roof and the rest of your home easily. What Are Some Signs That It’s Happening? However, some chimney fires are barely audible and hard to notice early on, so taking the right preventative measures is vital. 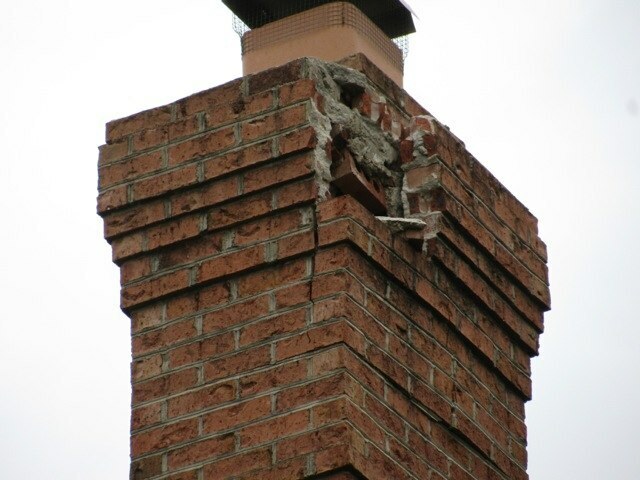 Over time, heavy weather can break down the structure of a chimney. However, flue lining damage is a major culprit for fires. Flue lining is the material used in masonry to prevent heat from becoming trapped in the chimney. Seeping water can damage this lining, causing thin slices of tile to collect at the bottom. Also, creosote, a black material with a tar-like texture that collects in your fireplace, can build up as well. Creosote forms naturally the more you use your fireplace and can thicken to several inches over time. The material itself is flammable and thus a major fire hazard. Creosote buildup can also choke your chimney of airflow, making your fireplace much less effective. Calling a sweeper is one method. Damage to flue lining can be difficult to spot, so professional chimney sweepers use specialized cameras to check for cracks and other damage within the chimney itself. Also, you’ll want to consider getting stainless steel flue liners, which are popular with homeowners since they tend to last a long time and come with generous warranties. But in general, you can’t beat regular inspections and cleaning. Like anything in life, being proactive will save you a lot of headaches down the line. Whether we like it or not, masonry does break down over time. Depending on which region you live, your masonry will wear down from the effects of weathering. Inclement weather can chip away at stone and brick, especially near the mouth of your chimney. Even basic rain can seep into the cement between the bricks, which, when frozen in cold weather, contributes to cracking. How Can It Damage My Roof? Broken cement can fall onto your roof. Plus, the chimney’s weakened structure can collapse over time, posing a threat to not only your roof but also passers-by on the ground. If your chimney does break off and collapse, it can cause extensive damage to your roof as the weight of it can collapse other areas of your roof, damage your shingles and tiles, and much more. Water damage is one of those things that terrified homeowners across the world. When it comes to your chimney, water damage can erode it, causing it to crack, and in extreme cases, break off completely. As stated on sheltonroofing.com, sometimes cement and tar aren’t enough to keep water out. If your chimney is leaking water, the damage can eat into the roof around the chimney quickly. If water is gathering around your chimney, there is a good chance that it will rot your roof away with it. 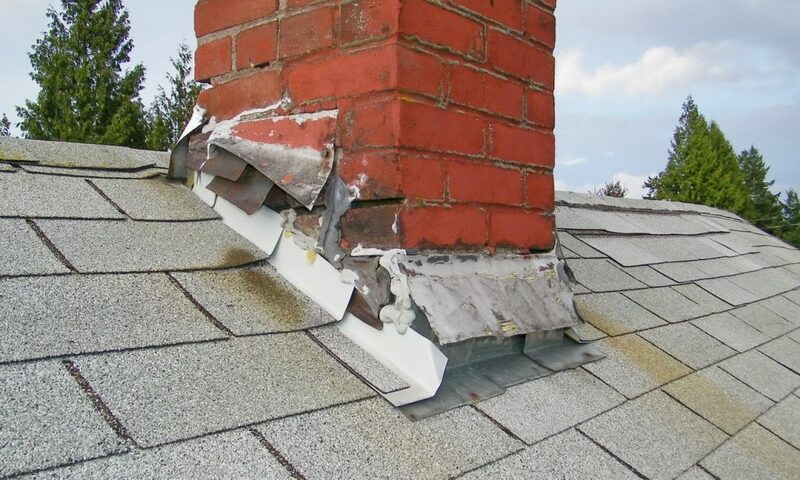 Decayed chimney flashing is a leading cause. Flashing is the material applied to the base of the chimney to prevent water from seeping into your attic. Chimney spalling, or the flaking of brick and stone. This symptom is easily seen on your roof where shards of your chimney collect. Efflorescence, an official term used in construction to refer to salts encrusted on brick and mortar that show up when water seeps through the masonry. Even well-designed chimney flashing needs to be maintained every now and again, so call a professional team like the All Pro Chimney Service team if you ever notice rusty spots or holes in the flashing. Also consider getting a chimney cricket, a small feature on your roof that diverts rainwater and debris away from the chimney as they flow down the roof. When your chimney cap is damaged or missing, the open and exposed chimney mouth is practically an invitation for squirrels, rodents, insects, and other wildlife to enter and make a home. 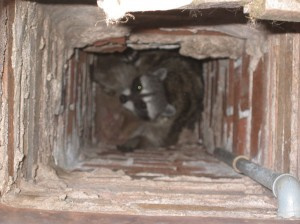 Birds can also build nests in chimneys, causing a blockage. Animals living in your attic can chew at your insulation and other parts of your roofing, so get that cover repaired as soon as you can. Additionally, a chimney cap can also prevent water from entering. A lot of the damage-inflicting your chimney and roof are difficult to see from the ground, and since climbing onto the roof, yourself is dangerous. If you’re inexperienced when it comes to roof repairs, we recommend you call an experienced roofing company. Like chimney repairs, an experienced roofing company will know how to fix any problems you are experiencing with your roof properly. 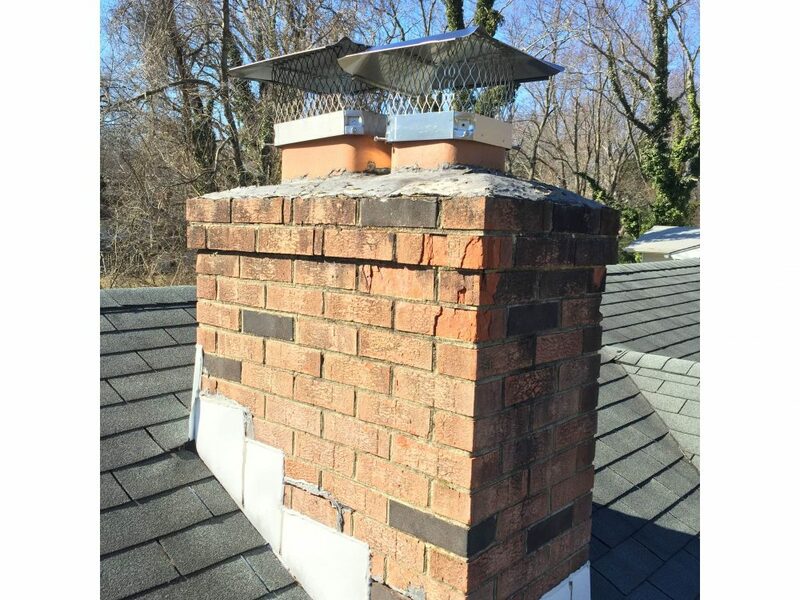 All Pro Chimney Service offers dedicated roof repair services to customers in the Baltimore and DC Metro areas. Do not hesitate to contact us if you have any questions about your chimney, its condition, and how you can maintain and stay ahead of potential problems.